Hello all! My name is Kylie Smith and this summer, I am the Special Events Assistant/Interpreter at Banting House National Historic Site of Canada. As a history and anthropology student at The University of Western Ontario, the prospect of working in a museum for the summer is an exciting one for me. This has been my first week, and what a week it has been! Banting House has exceeded all my expectations. Here I have found a lively and busy environment, where already I have met people from across Canada and the world. From the dedicated volunteers who help run Banting House and my fellow coworkers to the visitors, I have enjoyed hearing everyone’s remarkable stories about what led them here. Banting House is so much more than just a museum; it is a place of inspiration and pilgrimage for many. Like every summer job, the first few days are filled with excitement, trepidation, and plenty of information. Getting to know my way around a house with four different staircases isn’t easy! The most nerve-wracking part of the week is giving my first tour. Will I be able to do Banting justice? 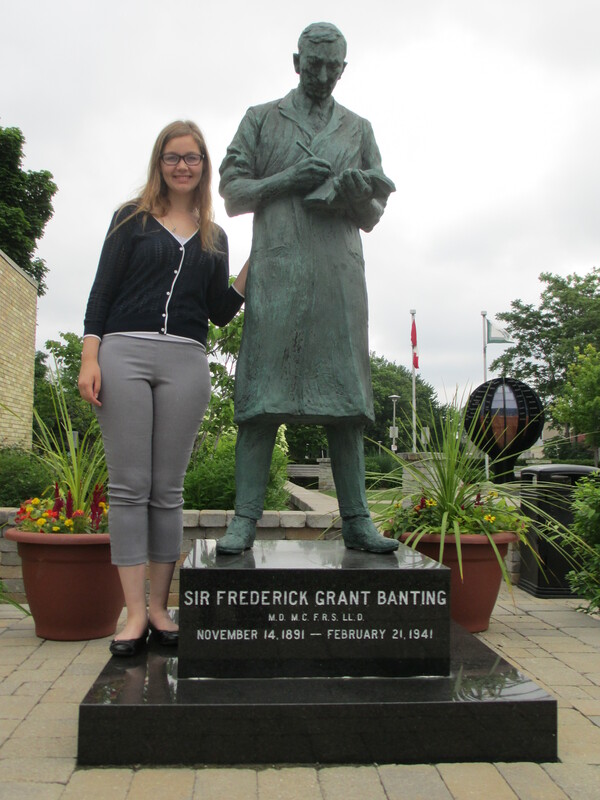 The more I learn about Frederick Banting, the more I am inspired to succeed – his story is a great one which deserves to be told properly. I’ll be posting weekly updates on the blog about happenings around the house and my experience working here over the summer – and if the first week has been any indication, it’s going to be a great one! “Fred” and I are on a first-name basis now! Previous Post What Would You Save in a Fire?